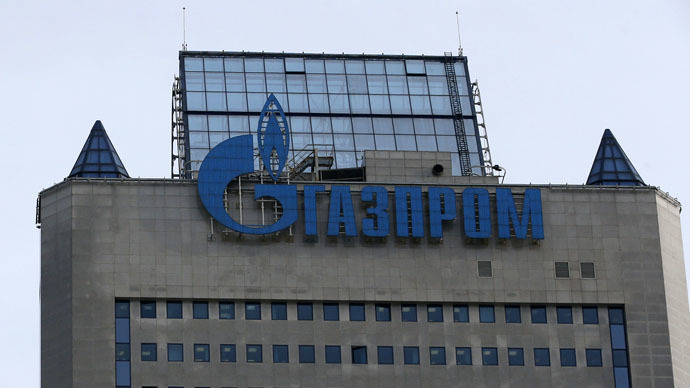 Ukraine’s antitrust committee has started an investigation into Russian energy giant Gazprom over a possible violation of the Ukrainian competition legislation, said head of the committee Nikolay Barash. "Consider that we started an investigation," said Barash quoted by Ukrainski Novyny. He added that the maximum fine could be 10 percent of Gazprom’s annual turnover for the violations should the company is found guilty. Gazprom has not commented. At the end of April, the Ukrainian cabinet asked the antitrust committee to initiate an investigation into Gazprom. Prime Minister Arseny Yatsenyuk said on May 1 the company "operates on discriminatory, non-competitive conditions and inflicts damage on the Ukrainian economy." Naftogaz has claims against Gazprom over the contract of gas purchases and transit exceeding $16 billion in the Stockholm arbitration court, he said, adding that the Ukrainian authorities had asked the European Union to conduct a joint investigation into Gazprom’s monopoly in the EU and Ukraine. Gazprom’s claims against Naftogaz are greater than of Kiev to Moscow, said Gazprom’s spokesperson Sergei Kupriyanov on May 1, commenting on Yatsenyuk’s statement. However, the figure wasn’t specified. The EU accused Gazprom of unfair competition on April 22. During a three-year investigation, the European Commission concluded that Gazprom violated antitrust rules of the EU, deliberately charging hefty fees and disconnecting the gas markets of Central and Eastern Europe. The charges are related to the company’s activities in Bulgaria, Czech Republic, Estonia, Hungary, Latvia, Lithuania, Poland and Slovakia. Gazprom has repeatedly said it doesn’t accept the accusations of the European Commission, but is ready to make concessions in order to avoid a lengthy trial and billions of dollars of fines, according to Reuters. The fines may range from $1 billion to $3.8 billion, according to analysts from Sberbank CIB and VTB Capital.